Our feet constantly sweat (close to 250 ml seeps out) throughout the day, and it is not surprising that feet often smell awful. With 250,000 glands working around the clock, the sweating goes on irrespective of the body temperature or weather conditions outside. Especially pregnant women and growing teenagers, who sweat due to certain hormonal changes, can be very embarrassed because of smelly feet. 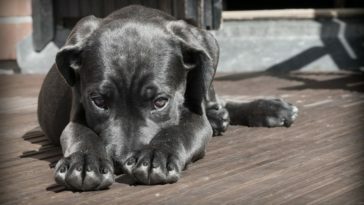 People who do strenuous work, and stay up on their feet most of the time and others who undergo a lot of stress are likely to suffer smelly feet, as will people suffering from hyperhidrosis, a medical condition that generates significant quantities of perspiration leading to feet and body odor. 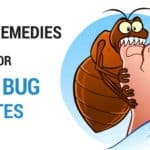 However, people who feel terribly embarrassed due to smelly feet need not hide in the closet – several effective home remedies help fight stinky feet effectively. Let’s take a look at the various causes of smelly feet first. Excessive sweating in the feet can cause bad odor. People undergoing stress or suffering from hyperhidrosis. Athlete’s foot, a type of fungal infection causes smelly feet. Ignoring personal hygiene and not washing the feet properly. Hormonal changes in teenagers and pregnant women causes smelly feet. You have sweaty feet all the time. 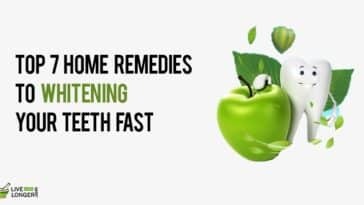 You have tried the remedies listed below, but the problem persists. 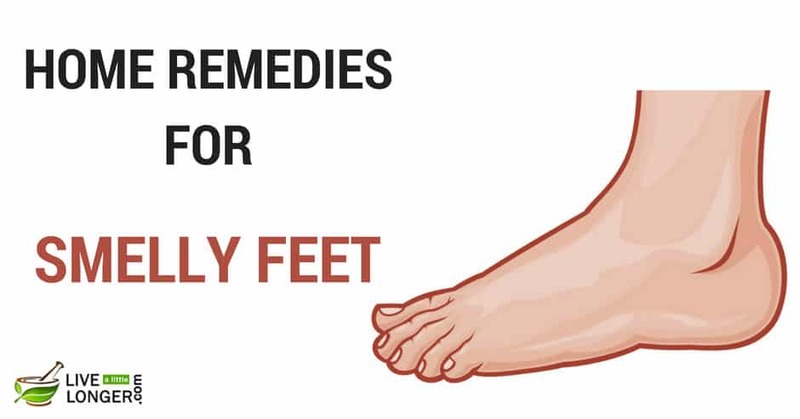 There are several excellent home remedies for smelly feet, and here are the top ten. Take two tablespoons of baking soda (sodium bicarbonate). Mix the baking soda in 2 liters of clean water and soak your feet in the solution for 20 minutes. Pat your feet dry with a clean towel. Sprinkle dry baking powder on your feet before wearing footwear. Although sweating causes body odor, the real reason is sweat mixing with bacteria that gives out an unpleasant odor. Bacteria can thrive in a moist, warm environment that is created in the feet due to excessive sweating. Baking soda is an excellent absorbent that helps get rid of the moisture caused by sweating. It also neutralizes the pH levels of sweat generated in the feet, destroys the bacteria, and prevents them from multiplying as well as thriving in the feet. This effectively kills the bad odor emanating from the feet, making baking soda a perfect home remedy for smelly feet. There is a severe infection in the feet. If you are allergic (very rare) to sodium bicarbonate (baking soda). 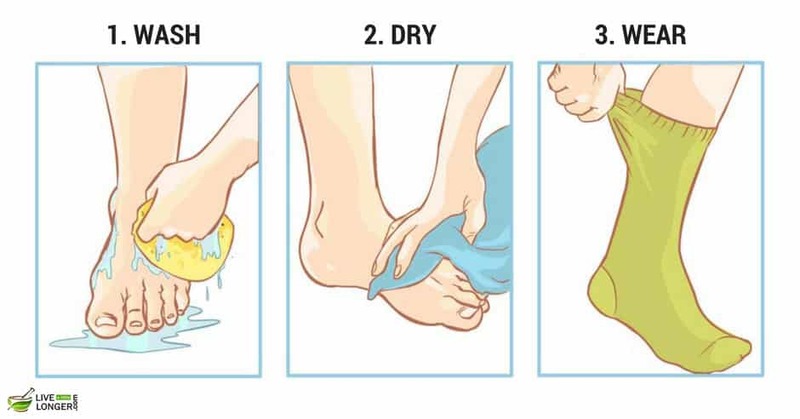 Wash the feet with antiseptic soap and water. Pat dry. Sprinkle generous quantities of talcum powder on the feet, on your socks, and inside your shoes. Clean feet 2 to 3 times every day and sprinkle fresh talcum powder. Keep the feet dry while applying talcum powder. Talcum powder is probably one of the easiest and most effective home remedies for smelly feet. Almost every household will have either talcum powder or baby powder, both of which are effective in controlling the bad odor emanating from feet. Talc is a form of clay mineral that contains hydrated magnesium silicate and oxygen. It helps by absorbing the excess moisture in the feet and keeps them dry for long. Just make sure that the talcum powder you use is a food grade cosmetic, which is safe to use. Your feet are heavily infected and require clinical medication. Otherwise, talcum powder is safe for any skin type. Take ½ cup of kitchen grade vinegar and ½ cup of isopropyl alcohol. Mix vinegar and isopropyl alcohol together. Apply the mixture on your feet. Let it sit for a while until it dries, do not wash the feet. Alcohol helps keep the skin on your feet dry. As most of the bacterial and fungal infections thrive only in a moist environment applying alcohol and keeping the feet dry is not conducive for the growth of bacteria and fungus. Vinegar also has excellent anti-fungal properties and is great at destroying bacteria that thrive on the feet. Applying a potent mixture of alcohol and vinegar ensures that the feet remain dry and germ-free, making this combo the ideal home remedy for smelly feet. The isopropyl content in the alcohol is not high enough. If you don’t choose alcohol, that is around 90% proof. Take two teaspoons of Epsom salt and about 5 liters of warm water in a bucket. Mix the Epsom salt in the warm water and soak the feet in this mixture for 15 to 20 minutes. 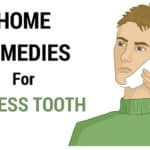 Repeat the remedy every night for a few days before going to bed. Epsom salt, also known as magnesium sulphate is inorganic chemical salt that contains magnesium, sulfur and oxygen. Also referred to as sulphate mineral epsomite, from which it derives the name Epsom salt and is found abundantly in a natural saline spring in Epsom, Surrey a suburb in the UK. It is commonly used as a drying agent for various applications. Its hygroscopic property helps absorb the excess moisture in the feet and keep it dry. Dry feet are not conducive for bacteria and fungus to thrive in. Hence, the bad odor is effectively removed from smelly feet, making Epsom salt one of the perfect natural home remedies for smelly feet. There are no known side effects of using this remedy. However, if you have serious skin allergies, consult a doctor before using. Take a couple of 2-inch long roots of ginger. Wash and peel them. Crush the ginger into a pulp and tie it up in a piece of cotton cloth. Dip this bundled ginger in a cup of hot water for 10 minutes. Massage the feet with this ginger water every day before bedtime. Apart from several health benefits for the digestive system, ginger has powerful detoxifying properties that make it an excellent choice as a home remedy for smelly feet. It helps control the sweating in the feet, thus keeping it free of moisture and bacteria. The germ fighting qualities of ginger help fight infections affecting the feet. Moreover, ginger helps secrete a protein called dermcidin which helps fight against the bacteria that thrive in the sweat. It is safe to grind fresh ginger into a soft paste and apply on the feet. Allow this to sit for a while, wash with warm water, and pat dry. 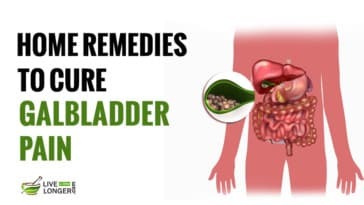 There are no reported side effects of using this remedy. However, if you have serious skin allergies, consult a doctor before using. Take 5 to 6 medium sized radishes. Wash and peel the skin. Crush the radish and make a fine paste. Take 2 pieces of fresh ginger and peel and make a fine Mix radish, ginger paste, and add 8 to 10 drops of fresh lemon juice. Wash feet, dry with a towel and apply this radish-ginger-lemon juice paste. Let it sit for an hour, then wash the feet with warm water and pat dry. Radish or Raphanus Sativus is one of the best home remedies for smelly feet. It is an edible root that belongs to the Brassicacaceae family that used to grow wild before it was domesticated during the pre-Roman era. It has a strong odor, and helps in fighting smelly feet. It is loaded with Vitamin C, zinc, phosphorus and traces of Vitamin B, making it the perfect home remedy for smelly feet. Radish is an excellent natural disinfectant that helps fight the bacteria thriving in moist feet. Ginger, with its detoxifying properties and sweat-controlling tendency, helps keep the feet dry and clean. There are no known side effects of using this remedy. However, if you have serious skin allergies, discuss with a doctor before using. Take 3 to 5 black tea bags and remove the strings and tags. Take a half a bucket of warm water. Add the tea bags and leave it for 20 min. Soak your feet in the tea decoction for 30 minutes. Repeat the process for a few days once before bedtime. Black tea is an amazing home remedy for stinky feet. Apart from being a great refreshing drink that is loaded with antioxidants, the tannic acid content in black tea that has astringent properties is just what you need to get rid of the foul smell emanating from your feet. Regularly treating your feet with tea decoction helps keep them free of infection and helps remove the bad odor as well. Astringents work on the body tissues and help them control the sweat glands, thus reducing the profuse perspiration in the feet. Take half a cup of borax or boric acid, half a cup of vinegar, and 2 cups of water. Add borax and vinegar to water and mix thoroughly. Wash the shoes in this solution. For non-washable shoes, spray the mixture. Wear the shoes only after they are completely dry. Boric acid, which is present in several natural foods, is extracted from the mineral boron along with some sodium salts and oxygen. Boric acid is an important ingredient that figures in several powerful antiseptics, pesticides, soaps and preservatives used for protecting the wood. It is an important additive in several powders that are used to treat athlete’s foot. When used naturally, it is more effective, hence forms a great natural home remedy for smelly feet. The acidic nature of boric acid helps fight against bacteria and mold formation, thus acting as a natural cure for smelly feet. Your skin is very sensitive as it can cause more harm than good. Take 3 to 6 drops of undiluted Tea Tree Oil, 1 teaspoon of Sweet Almond Oil, and 2 teaspoons of virgin coconut oil. Mix tea tree oil, sweet almond oil and coconut oil in a small bowl. Wash the feet, pat dry with a towel (in between the toes) and apply this mixture. Tea tree oil is a great anti-fungal agent and helps fight the formation of fungus in between the toes in the feet. It is also an effective antimicrobial agent that fights against the bacteria present in athlete’s foot and prevents infection. Coconut oil is naturally skin friendly and has a soothing effect on the burning sensation caused by infections due to athlete’s foot. Sweet Almond oil is aromatic and helps fight the bad odor in the feet. Hence, this combo makes one of the best home remedies for smelly feet. Take 3 to 5 cloves of fresh garlic. Wash and peel the skin. Crush the garlic and make a fine paste. Take 2 to 3 teaspoons of pure, natural honey. Allow this to sit for an hour or so. Garlic has great anti-fungal properties that help fight against infections in the feet. It gives immense relief from the itching associated with athlete’s feet and helps contain the infection. Honey is a natural antiseptic agent that helps cure any infection in the feet. It also has great anti- inflammatory properties that help relieve the itch and pain associated with athlete’s feet. The garlic honey combo makes one of the best home remedies for smelly feet, and what’s more is it is very easy to prepare and apply. Try using airy footwear like sandals that allow air to circulate between the toes. Keep your feet as dry as possible at all times. Dab off the moisture promptly after every wash.
Avoid footwear made of synthetic material and go for pure leather or natural canvas. Keep rotating your footwear and make sure you clean them regularly and dry them in the sun. If you spend a lot of time at your desk, keep slipping off your shoes often to air your feet. Sprinkle cornstarch powder inside the shoes before wearing them, it helps absorb moisture.